This blog is dedicated to commentary and analysis of international affairs with a particular focus on where events may be taking us and why. 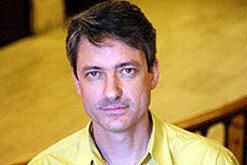 Alistair Burnett is a journalist and analyst with 25 years of experience in BBC News. From 2004-2014, he was Editor of The World Tonight on BBC Radio 4 and before that was Editor of Newshour on BBC World Service and has worked on several other leading BBC programmes, including Today. He has a particular interest in international relations and the implications of the shifting power relations in the world which are challenging the traditional western dominance of global affairs. Alistair studied history at The University of Edinburgh and has worked in several countries, including Italy and China.